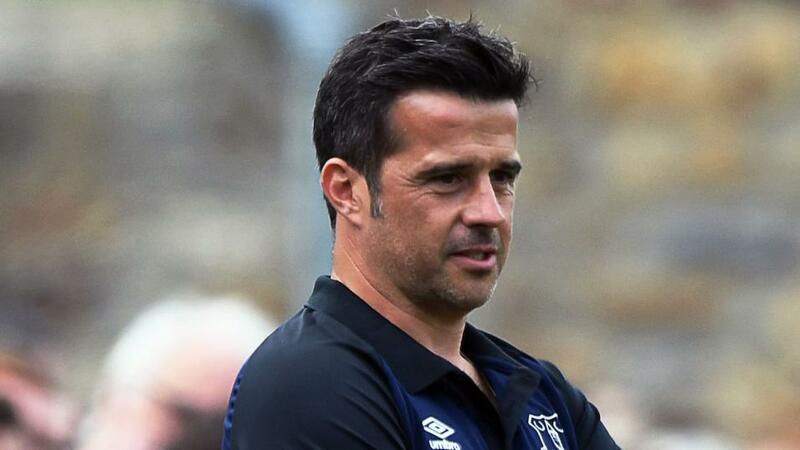 Will Marco Silva inspire Everton when they travel to Fulham? Can Everton continue their fine form when they travel to relegated Fulham? Opta has the answers. "Fulham have failed to win any of their last 10 meetings with Everton in the Premier League (D2 L8); their longest winless run against the Toffees in league competition." Everton are [1.8] to win. Fulham have failed to win any of their last 10 meetings with Everton in the Premier League (D2 L8); their longest winless run against the Toffees in league competition. Everton are [1.8] to win. After losing their first seven away Premier League games against Fulham, Everton have won three of their last six (D2 L1). The draw half-time/Everton full-time double result is [5.2]. Everton have lost only one of their last 19 Premier League away matches against newly promoted teams (W7 D11), losing versus Burnley in October 2016 (1-2). The draw is [4.0]. Already relegated Fulham have conceded at least twice in each of their last 13 Premier League games, losing 12 of them (W1). The only teams to have conceded 2+ goals in more consecutive top-flight matches are Manchester United (16 games from April-October 1930) and Newcastle United (14 games from May-October 1977). Over 2.5 goals is [1.8]. Everton are looking to win four consecutive Premier League games for the first time since September 2016. They are [2.8] to win half-time/full-time. Everton have won three of their six away league games so far in 2019 (L3) - they only won four of their 18 on the road in the whole of 2018 (W4 D4 L10). A Fulham win is [4.9]. Everton won their last league visit to London, beating West Ham 2-0. They've not won consecutive league games in the capital since May 2015. Everton are [3.3] to win to nil. Fulham have had fewer different goalscorers (exc. own-goals) than any other side in the Premier League this season (9). Under 2.5 goals is [2.22]. Everton's Gylfi Sigurdsson has scored four goals in four Premier League matches against Fulham, including netting twice in this season's reverse fixture in September. Sigurdsson is [2.8] to find the net. Before joining Fulham, Ryan Babel had won all 11 Premier League games in which he scored. He's since netted in three games for the Cottagers, losing all of them. Babel is [4.5] to score.